Today marks the 14th anniversary of the 9/11 attacks, which left 2,977 people dead at the World Trade Center in New York, the Pentagon in Washington D.C. and Shanksville, Pennsylvania, where United Airlines Flight 93 crashed after passengers seized control of the plane from hijackers. 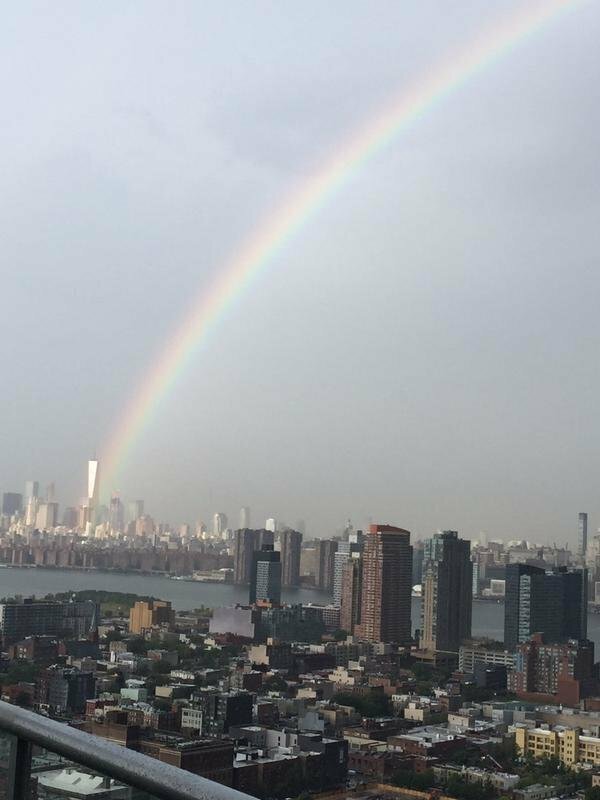 A rainbow appeared on the eve of the anniversary overlooking the World Trade Center. I guess it’s a sign of peace and prosperity.